Home Shopping All Spices shops in Kenya: Location and Links. Spices shops In Kenya are not so many. I have labored to bring you the best few. This are places you can buy spices either online or in traditional mortar and brick businesses. Off course this list may not be conclusive that is why any additions are welcomed at any time. All you need to do is contacts me and suggest a store where spices can be bought from in Kenya. Tropical heat is a well know company in Kenya producing most of the spices we use daily in our homes. Tropical Heat was established in 1973 as a small ethnic snack cottage industry. Today, they are one of the leading manufacturers of spices and snacks in the East African region and our brand Tropical Heat is a household name in Kenya. They produces such as pure spices, herbs, seasonings, masalas and salts. The good news is that at your favorite supermarket, you will always find these spics there. You can easily obtain them there. You can also buy directly from them online. The link will take you to their store on Jumia where you can find these spices. This is a household name today in Kenya. Jumia ships millions of products to its 16 million customers daily. Spices are no exception. That is why it is one of the spices shops in Kenya. If you have an account with them, all you need to do is search for spices and you should be able to buy from them. If you do not have an account, you need to create one. Follow this simple guide to create an account and begin shopping on Jumia Kenya. This is one of the online spices shop in Kenya. They have a rich history in the growth and export of herbs and spices from Kenya. Their vertical integration means they carefully monitor the chain from the first seed being planted in the ground, through the growing and harvesting until the moment the product reaches the market, thereby being able to guarantee that you only get the freshest herbs and spices that Kenya has to offer. To place an order, you will have to create an account at their website. However, note that, they sell in bulk and for someone buying small quantities for household use; this may not be a good option. If you are buying in bulk, you may consider them. 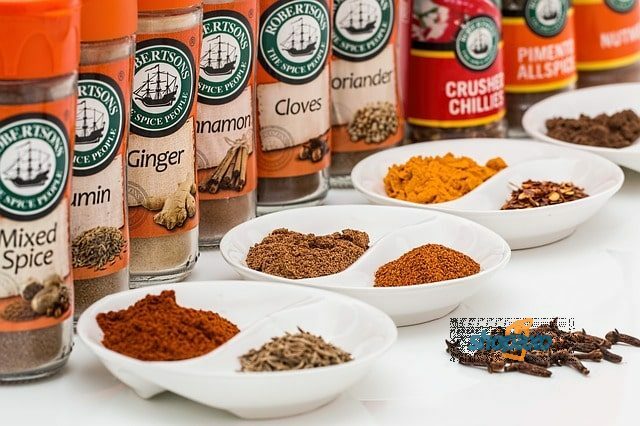 This another online store you can consider when buying spices in Kenya. You can shop from there online store and have your spices delivered to you at your doorstep. You can also buy spices at these shops in Kenya. Spices can also be found in open-air markets around you. This if you are looking to buy fresh spices. If you live near these markets, then you can easily find spices there. If you looking to buy spices, you may not really get them in a traditional shop. Most spices are actually found in open-air markets. This list about spices shops in Kenya may not contain all shops. In case you know or own a spices shop, we will be glad to add it onto this list. All you need to do is let me know through the contact me page. Previous articleSupermarkets in Kenya; Branches and Contacts. Next articleAdidas Shops in Kenya: Locations and Contacts.